The Frugal Family Life: Walgreens May Coupon Booklet--$410 Worth of Savings! 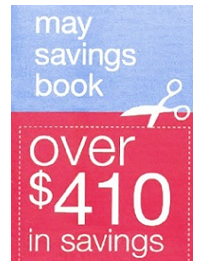 Walgreens May Coupon Booklet--$410 Worth of Savings! The new Walgreens May coupon booklet should be available in most stores starting tomorrow! There are over $410 worth of Walgreens store coupons and rebates included in this month’s booklet. Remember, these coupons can be combined with manufacturer’s coupons for additional savings! These coupons are valid 4/29/12- 5/26/12. Thanks, Wild for Wags, for the list and the photo! This Walgreens May coupon booklet will surely give a lot of savings among house hold owners. They should take advantage on the flu remedies deals. Medicines are expensive, but they can be cheaper with these coupons.